of mess that may dent ones name. Everyday people are wasting their destiny having s*x recklessly, without knowing the consequences of what they are doing. What a pity! 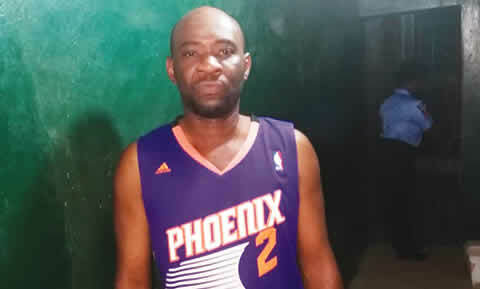 The Ogun State Police Command has arrested a 42-year-old website designer, Abiodun Amosu, for allegedly defiling a 16-year-old virgin. The suspect, who lives on Sowemimo Street, Ibara Housing Estate, Abeokuta, Ogun State, reportedly r*ped the teenager, who was said to be a home help, on Thursday while his wife was away in Lagos. She claimed further that after having his way, the man beat her up for protesting against the illegal act, after which he sent her out of the house. The state Police Public Relations Officer, Abimbola Oyeyemi, said the victim, who did not have anywhere to go, broke down outside her employer’s apartment and wept uncontrollably. He added that a member of the state chapter of the Committee for the Defence of Human Rights, became curious and talked to her, after which he took her to the Ibara Police Station to make a formal report. He said, “His arrest followed the complaint lodged at the Ibara Police Division by the victim, who was accompanied to the station by a member of the CDHR. Oyeyemi said further that the Divisional Police Officer of the station, Dada Olusegun, led detectives to the scene where the suspect was arrested. He said the suspect initially denied the allegation, but when confronted with the bloodstained bedclothes in his bedroom, he admitted to the offence. Oyeyemi, a Deputy Superintendent of Police, said the victim, who claimed to be a virgin before the incident, had been taken to the state General Hospital, Ijaiye, Abeokuta, for medical attention, adding that the medical report confirmed that she was s*xually abused. He said the state Commissioner of Police, Ahmed Iliyasu, had directed that the case be transferred to the Anti-Human Trafficking and Child Labour Unit of the State Criminal Investigation and Intelligence Department.